When More is Less | Tennessee Aircraft Services, Inc. It seems as though the change in the purchase price of aircraft over the years has outpaced that of automobiles. I’m sure economists have lots of data that they would sift through to accurately quantify these values. John Frank had a wonderful matrix for determining the value of Aircraft over calendar time. John would compare the difference in sales prices of a higher end car with an airplane of the same year model. He would then do the same for current production items and compare the deltas. As it turns out, our suspicions are confirmed. However, parts and repair cost don’t quite follow the same track. Using John’s matrix we can compare a Ford Mustang to a Cessna 172. In 1968 a Ford Mustang coupe sold for just under $4K while a 172 usually went out the door at about $16K. That’s an easy 4:1 ratio. Today, a top end Shelby Mustang lists for about $65K while a G1000 172S lists for about $370K, which is a ratio of nearly 6:1. Using a more likely price for the Mustang of $33K gets us closer to an 11:1 ratio. This thumbnail calculation presents a very sobering reality. Aircraft ownership costs are not as easy to compare as is purchase price, but logic implies that cost of ownership has increased at a similar rate. The irritating aging aircraft rub is that we’re paying 2017 costs to own a 1968 model plane. This explains why so many of us go to such heroic extremes to keep our wonderful old birds flying. These extremes come in the form of somewhat unconventional decisions to keep cost within acceptable limits with regard to the aircraft’s current value. In my early career as an avionics technician, I was troubleshooting down to component level. Locating the single transistor, diode, or capacitor that was preventing a transmitter from working was a fun challenge. It was also the most cost effective means of repair. As I departed my avionics career back in the mid ‘80s, the industry was making the change away from component level repair in favor of board replacement level repairs. Board level troubleshooting is much easier and less time consuming on the bench. The current state of avionics troubleshooting is more like box replacement. The tech mostly confirms the problem is in the box and not in the plane, then sends the defective box back to the manufacturer for repair. Field troubleshooting time has decreased significantly while replacement parts (box) cost has increased dramatically. Most manufacturers have a flat rate repair for each box regardless of failure. Getting the back lighting repaired might cost the same as replacing a defective display screen-all very efficient for the manufacturer but more costly for the owner. It’s still possible to repair the older legacy radios by component level replacement. However, it only takes a few shop hours cost to exceed the value of the radio. It’s often more cost effective to find a serviceable replacement unit on Ebay. This seems a strange economic reality that replacement is more cost effective, but there it is. The rapid change in electronic technology is the obvious driving force. This makes sense if one compares avionics to the turnover rate in the mobile phone industry. 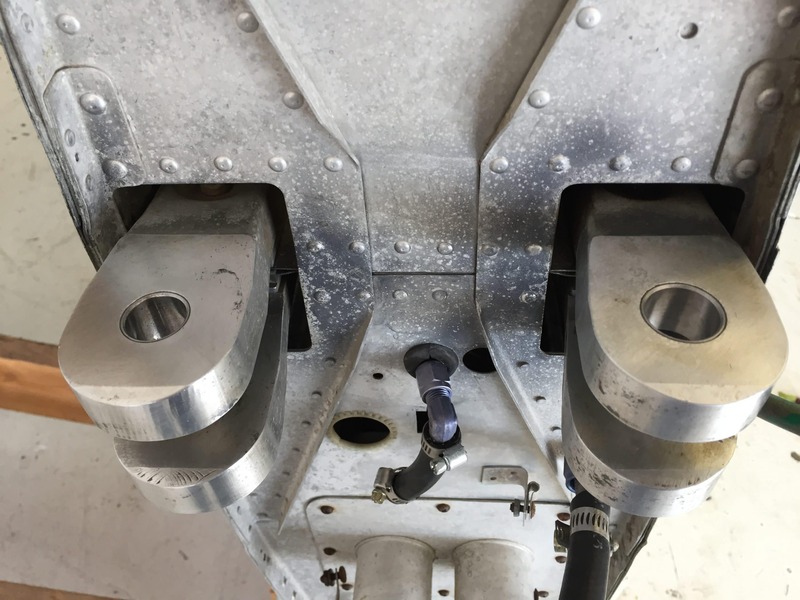 A concerning reality is that legacy airframe repair is beginning to cross over into the same large component replacement economics as avionics. 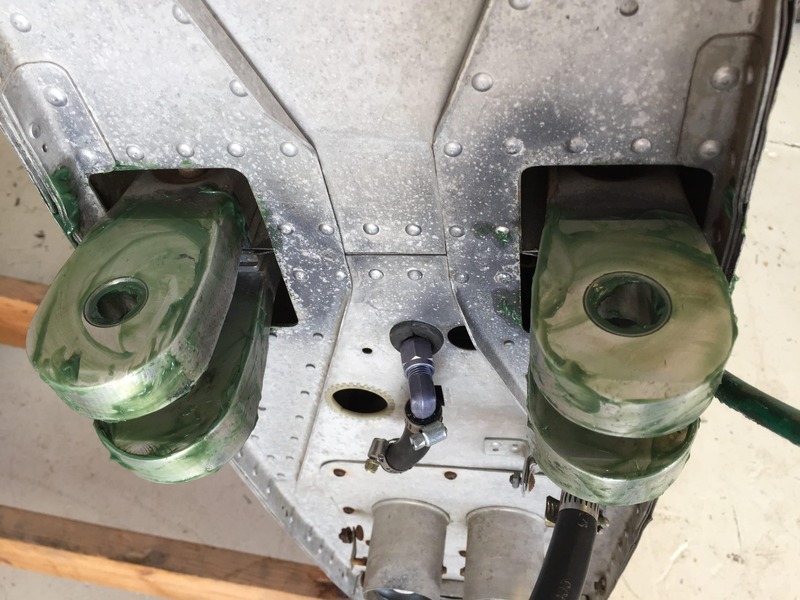 Wet wing fuel tank sealing is a topic I frequently visit, so while this may seem like another wet wing tank article, it’s not. This is an aging aircraft article but not about what goes wrong with older planes. We need to consider changes in the way we approach inevitable repair solutions for these older and no longer fully supported airplanes. A Cardinal recently in our shop for wet wing leak repair is a good example. The plane arrived and was inspected with multiple leaks showing. Step one was to thoroughly clean all the external fuel stains in an attempt to locate the point(s) where blue fuel could be found exiting the tank. The tank was then drained and opened for a good look inside. After the only access panel for the entire tank was removed, all remaining fuel needed to be extracted and the tank purged of all fumes. The purging is usually accomplished by leaving the tank open and allowing all residual fuel to evaporate. Careful attention to electrical grounding during this entire defueling process is absolutely critical. It doesn’t take long to assess the condition of the existing tank sealant. If the tank is original, there will be minimal sealant found and all will be the same color. Its consistency would be that of a pencil eraser, and it should be well attached. Any off- color sealant would be evidence of previous leak repair applications. Evidence of previous repairs isn’t an automatic concern. It should be assessed in the same manner as all sealant: consistency of a pencil eraser and well attached. Any sealant that is slimy or easily peels off should be considered for removal. The more nonoriginal sealant found in a tank, the more concerned one should be about the possibility for a successful patch sealant repair. So much sealant applied that all the holes in the rib that should allow fuel to move from one bay to the next are completely covered. This increased the unusable fuel by about six gallons. 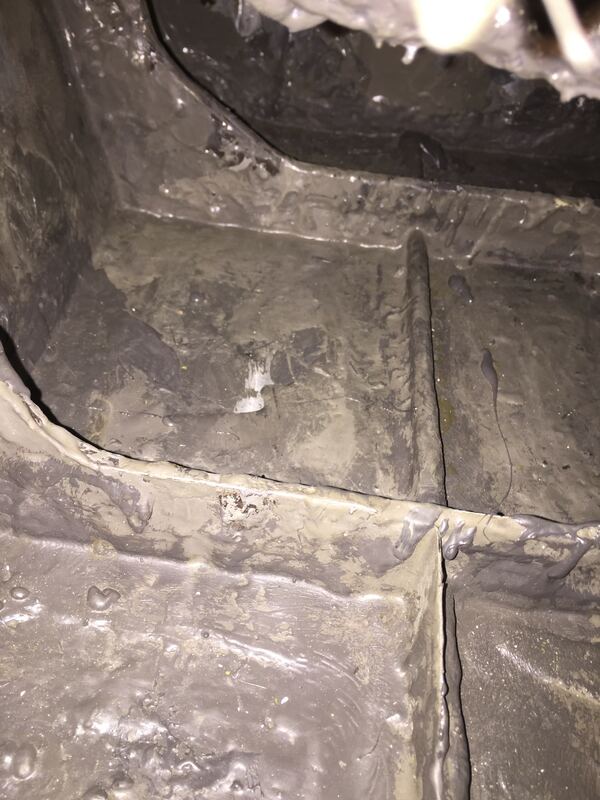 The internal surface of our subject Cardinal tank was almost completely covered in sealant. There were at least four different colors of sealant noted and multiple layers applied. 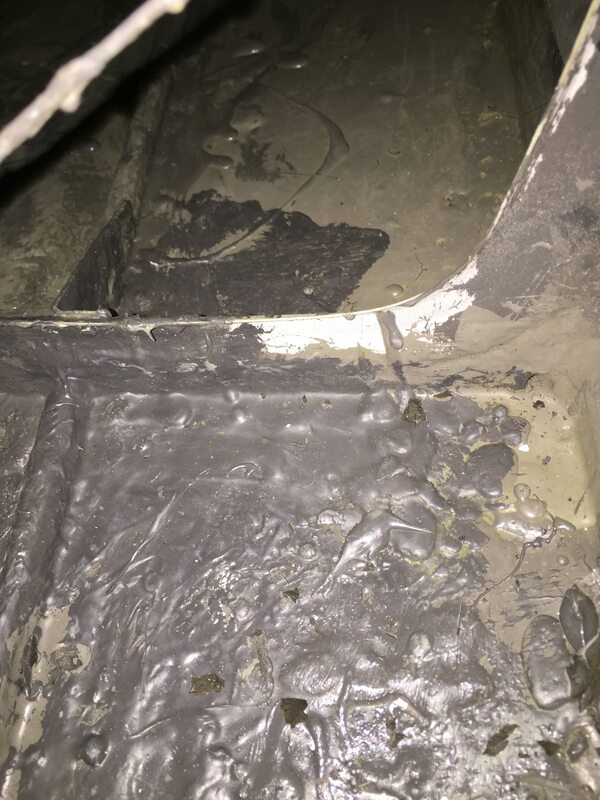 Sealant was also found applied to the outside of the tank, which is seldom a worthwhile effort and indicates some level of repair desperation. A more thorough review of the wing indicated the tank skin had been replaced. We could see the roll of the leading edge bulged a bit, indicating its radius was larger than the original design. There’s no telling what change this could make in a stall response. From a structural standpoint we noticed that almost the entire skin had been installed with Cherrymax rivets, a definite no-no. To properly address the leaks, massive amounts of the sealant needed to be removed. Much of the sealant wasn’t bonded well, and fuel pass-through holes in the ribs were totally covered. A prime concern was that this effort would uncover more horrendous workmanship from the skin replacement, which we were unwilling to cover up with the new sealant. Even if the sheet metal work was good, the reseal effort alone exceeded the financial limitations. It’s either pull the plug on the plane’s recovery or find creative solutions. Complete wing replace just for a tank leak seemed extreme at first, but the economics supported the idea. A quick search on the internet showed a few possibilities, so the owner was notified of the plan. There’s no point in us spending shop time looking and calling around for a wing, so we armed the owner with all the needed information and turned him loose. It didn’t take long for the resourceful owner to locate a good candidate wing. Donor wing arrives with signs of sitting in outdoor storage for a long time. The donor wing found had been in storage for a long time, so its tank condition was an unknown. The seller agreed to block off the tank ports and fill it with avgas for a multiday leak test. Everyone was thrilled when the report came back with no leaks. The wing was purchased and shipped to Tennessee for installation. Once received we removed the tank access panel for a good inspection. Gladly, we found only original factory sealant, and it seemed to be in excellent condition. 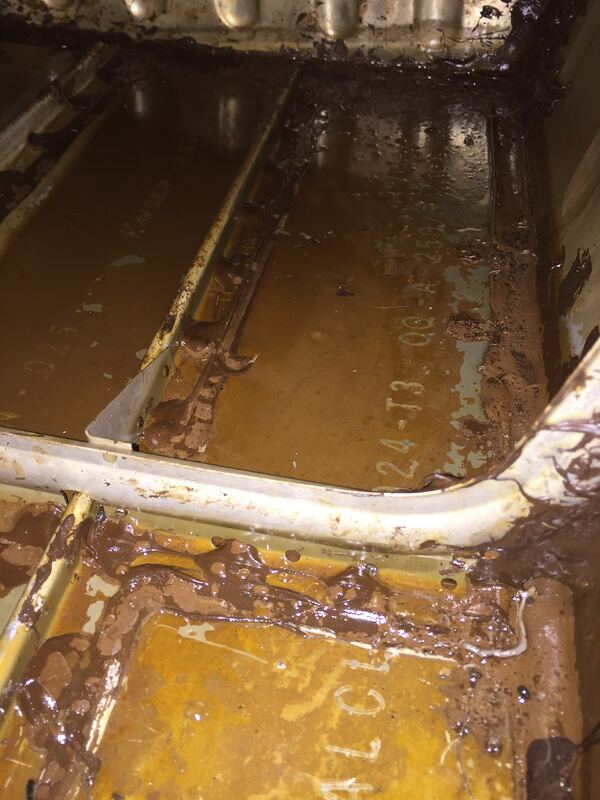 The tank was very dirty and had an odd discoloration of the aluminum but nothing that couldn’t be cleaned away. After several hours of scrubbing and flushing, the donor wing was ready to offer up for service. Donor wing interior looking like it needs a good bath. Otherwise in very good condition. A little Scotchbrite scrubbing on the wing attach fittings and they clean up very nicely. After installation on the plane, we performed another leak test and confirmed no leaks. We have found from past experience that if these wings don’t suffer any damage events or are not left empty in excessively hot environments, the original factory sealant may last for forty years or more. You’ll not see anything close to this performance on a brand M wet wing tank. As hoped, the wing replacement choice was confirmed as the best financial choice. It is frustrating when we get to the point that replacing an entire wing is more cost effective than making a repair to it. 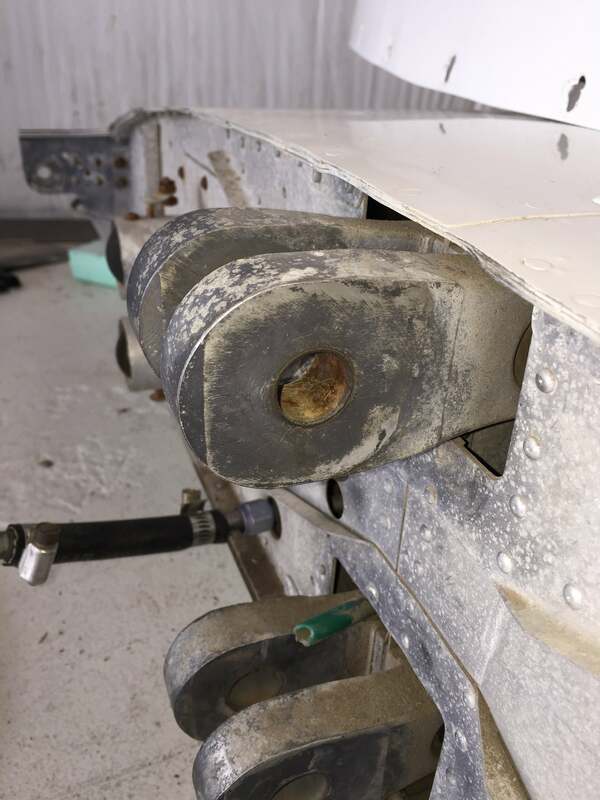 The logical progression is that applying current repair cost to a fifty-plus year old airplane must eventually cross a financial line that says replacing the entire airplane is more cost effective than repairing it. This is a totally reasonable evolution of legacy aircraft ownership. I know it’s disappointing, but it’s just a probable reality.